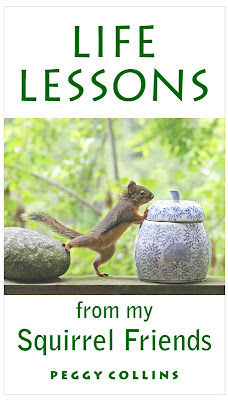 Peggy Collins Photography: My First Ebook...About Funny Squirrels, What Else? My First Ebook...About Funny Squirrels, What Else? 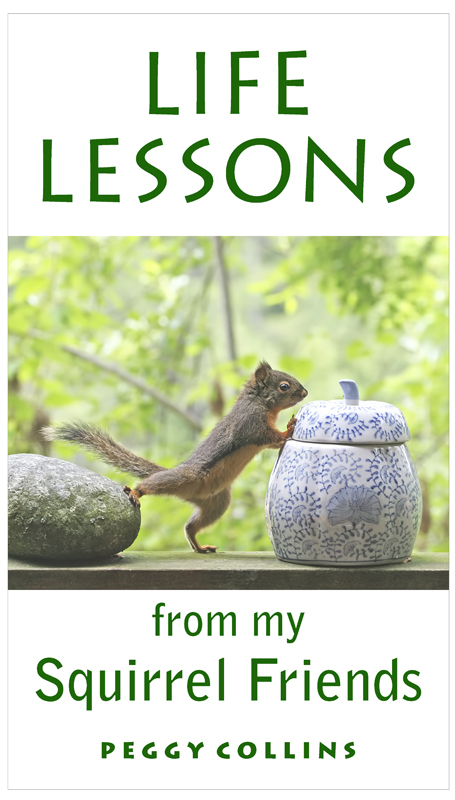 If you like funny squirrel pictures and could use a laugh or maybe some inspiration, you might be interested in the new ebook I just published called "Life Lessons from My Squirrel Friends". The book features 25 photographs of squirrels I have known over the years, as well as funny or inspirational captions to help brighten your day. The ebook is available from either Amazon or Smashwords. Each company sells the ebook for different e-readers. You can download a free sample on either site. Publishing an ebook was an interesting and sometimes frustrating adventure. I published the Amazon version on my birthday this past week...it was a goal I had for quite awhile. I have this squirrel book (and another book of other animals) in an earlier print version and always delight in watching people laugh out loud when they read it at the craft fairs where I sell my work. I've taken so many photographs of squirrels since doing the original print version of the book, I thought it would be a good idea to update it and get it online. People who have bought the ebook have told me that the pictures look great on different e-readers. I've also downloaded it to my computer (which you can do through Amazon if you don't own a Kindle), and I'm very happy with the look of it. So if you need cheering up or know somebody who's feeling a little uninspired, you might want to check my little book out. I'm pretty sure you'll like it! Congrats, Peggy! I stumbled on your post after researching how to publish my own photography ebook. I see that you were able to do that and I am inspired. How did you upload your photographs, just in the Word document? I would like to do a photo book on places I've visited but in ebook format? Thanks in advance! Yes, I just uploaded them in the Word document as jpg's. Combining text and photos can be tricky if you need to keep them together, like with a picture and a caption, for example. Sometimes they get separated when you're publishing in different formats. I found the free Smashwords publishing guide very helpful. It's on their website. Good luck with your project, Lily!